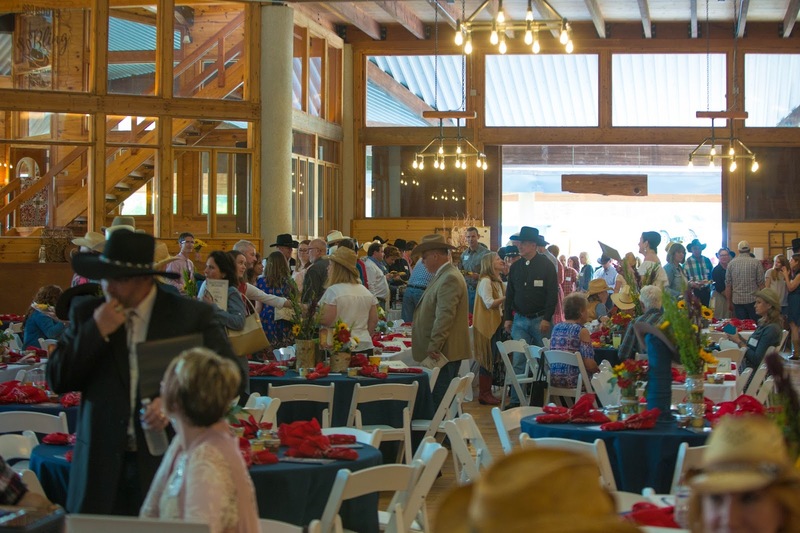 The Park Ridge Health Foundation Gala transported guests to the Wild, Wild West for a night of BBQ, Boots & Bling. Nearly 400 people enjoyed the evening of western-themed fun at Jeter Mountain Farm in Hendersonville. Jeter Mountain Farm was the perfect venue for the theme. Ingles catered the event and provided the food in black skillets along with desserts in mason jars to carry out the theme. The program featured the presentation of the Dr. P.J. Moore, Jr. & Dr. Arthur A. Pearson Award of Excellence, which annually goes to an outstanding individual or organization in the local community. This year’s award recipient is Mr. David Cook, Executive Director of Interfaith Assistance Ministry, a nonprofit agency that provides emergency relief to Henderson County residents who are in financial crisis by offering food, clothing, heat, utilities, rent, school supplies and other basic needs. The proceeds of this year’s Gala ticket sales, auctions and sponsorships will fund a transformation of the Park Ridge Health Main Campus second floor Behavioral Health Services unit. Our Behavioral Health Services include the HOPE Women’s Program which offers a full range of psychiatric care through the only dedicated women’s inpatient program in Western North Carolina. We also provide a geriatrics and med-psych program designed to address the needs of adults ages 65 and older; caring for both their behavioral and medical health needs. The Silent Auction raised more than $25,000 to support the renovations. The evening's Live Auction fully funded a Tele-Psych Therapy module which connects pediatric psych patients with a board-certified Pediatric Psychiatrist through video link and a nurse charting station, four new Vein Finders for use in the four Park Ridge Health Cancer Services Infusion Centers, and two Sonography Drop Tables for the Park Ridge Health Cardiology Department. “We are honored by the generous support and participation demonstrated by our community at the annual Gala,” said Sherri Holbert, Park Ridge Health Senior Director of Foundation & Marketing. To learn more about the Park Ridge Health Foundation and its efforts to support Park Ridge Health and our community, please call 828.681.2421 or email foundation@parkridgehealth.org.